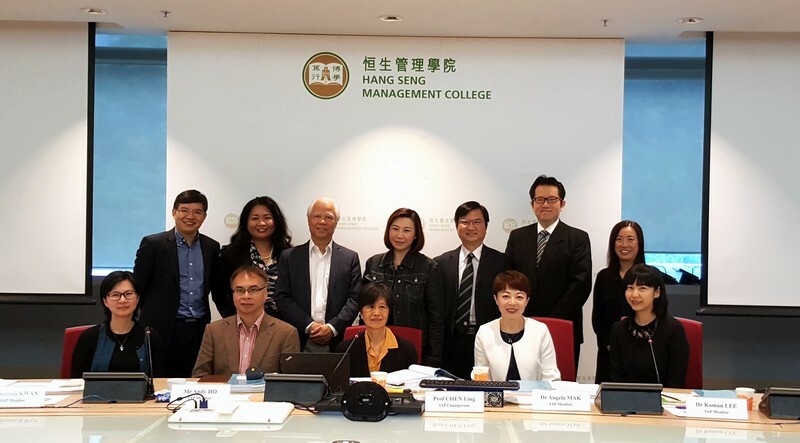 The Independent Accreditation Panel (IAP) Meeting for Master of Arts in Strategic Communication Programme took place on 22 Apr 2017 to solicit advice from peers and industrial practitioners to fine-tune the Programme. External accreditation with on-site visit by the Hong Kong Council for Accreditation of Academic and Vocational Qualifications (HKCAAVQ) for the Programme will be held on 21-22 Sep 2017. Group photo of Independent Accreditation Panel members with the Programme Team.